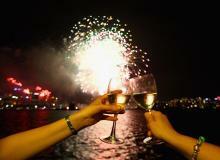 Toast to the New Year with these yummy and easy to make cocktail recipes to welcome the New Year. Actress Angelina Jolie accepts award for Favorite Villain for 'Maleficent' onstage during Nickelodeon's 28th Annual Kids' Choice Awards. Bachata Singer and Composer Romeo Santos debuts as an actor playing the role of 'Armando' in Furious 7. Stars of the movie Get Hard at the red carpet premiere as a new Spanish spot premieres. Get Hard starring Kevin Hart and Will Ferrell is in theaters now. 'Restaurantes Extraordinarios' New Series On FoxLife Hosted By Israeli Actor Ishai Golan For All The Food Lovers! Restaurantes Extraordinarios this series is ideal for "foodies" which airs every Tuesday at 9pm ET/ PT. World Premiere Screening of Nat Geo Mundo's Quién Mató A Jesús, produced by Scott Free Productions and based on the on the New York Times best-selling book by Bill O’Reilly and Martin Dugard, dives deep inside the historical story of how Jesus’ message and preachings led to his persecution and execution by a group of conspirators who saw him as a threat to their power. 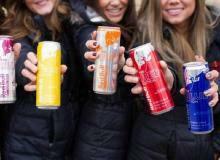 Red Bull Launched New Editions two zero calorie, zero sugar offerings. These new Editions offer the Wings of Red Bull with the same amount of caffeine as a similarly sized home-brewed coffee, and can vitalize mind and body. Also, providing facts that you did not know about caffeine. 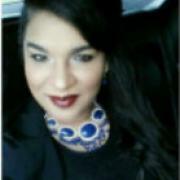 Fashion and Beauty expert, Kika Rocha knows all about allergy season. She provides us with beauty solutions she does that helps her look great during the spike of allergy season. 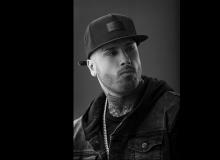 A winner at the 2015 YouTube Music Awards and a pioneer of the urban-Latino music movement, he tops three singles charts with his smash hit "El Perdón"
Tierra De Reyes Episode 76 Recap: Sofia Catches Isadora Kissing Arturo! Sofia didn't think the day will come she would see Arturo with another woman. She was heartbroken to see him and Isadora Valverde kiss. 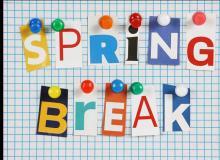 Spring Break is near and at least to hundreds of thousands of college students across the nation have booked their vacation and are ready to party. 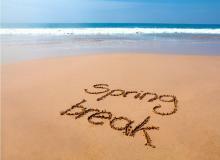 We have a list of the the top vacation picks college students travel to during spring break. Yuly Ferreira actress on the novela Dueños Del Paraíso talks about her role, motherhood and Fabian Rios her husband. Ricky Martin releases new video of the song "Disparo Al Corazón." Make spring break travel easier with multi-tasking products, gadgets that hold up under the sun and water, are low-maintenance, and easy to use. Shakira’s Son Sasha Is A Copy Of Gerard Piqué! Yesterday was Father's Day in Spain what a cute way of Shakira congratulating Piqué with this cute picture of Sasha to show their resemblance. Romeo Santos Brooklyn Concerts: ‘King Of Bachata’ Will Take Over NY Borough With Two Performances! The King of Bachata 'Romeo Santos' will take over the Barclay Center in Brooklyn this summer with two concerts. Maripily Rivera shares her thoughts on Rodner Figueroa getting fired from Univision.